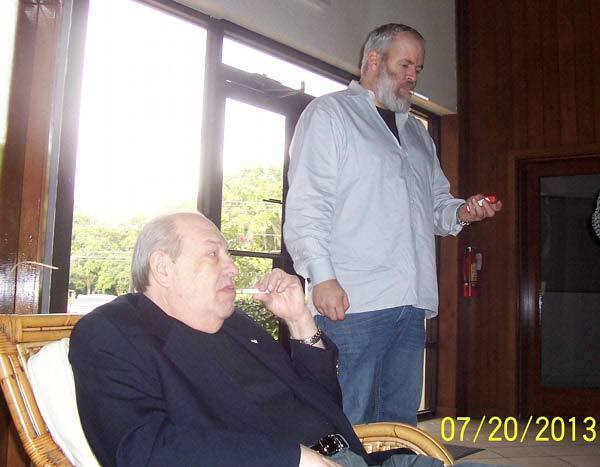 Many believe the original inventor of the e-cigarette was Herbert Gilbert back in the 1960’s. I was able to find a really cool back and forth interview with Herbert, discussing e-cigarettes, his design and ideas, as well as his thoughts on the future of e-cigarettes. Many thanks to James Dunworth for this interview. 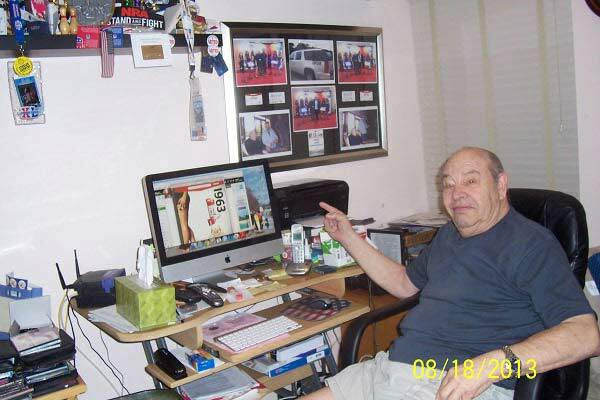 JD: Herbert, What was your background prior to inventing the e-cigarette? HG: I graduated college with a B.A. in business and then went directly into the service. I am a Korean veteran. My father had a scrap yard in Beaver Falls, Pennsylvania and that is where I went to work. I am just your normal, average logical guy and the “logic” is my best asset. JD: Were you a smoker yourself? HG: Sure was…a 2 pack a day for years…stopped cold turkey about 20 years ago. JD: What gave you the idea for your design? HG: I’m a logical guy and logic told me to define the problem and then develop a solution. the problem, as I concluded, was that when you burned leaves and wood, even if you did it in your back yard, it yielded a result that no one wanted to take into their lungs. For example, you can chew lettuce leaves…they are good for you and cinnamon is like tree bark and it doesn’t hurt you…but…if you dried them out, ground them up and mixed them together, put them in a big paper bag and set it on fire, the result would be nothing you would want going into your lungs. To put it as simply as possible, the problem could not occur if there was no combustion. Eureka! I had to find a way to put out the fire. wait…they used fire in my aunt’s bakery to make bread and cookies from flour…so what was different? They didn’t burn it they cooked it and the aroma was a treat. Nobody screamed, “the oven is on fire! lie on the floor and crawl outside.” At this point I happened to remember how tea is brewed. That solved the problem. Using logic I had to find a way to replace burning tobacco and paper with heated, moist, flavored air. JD: Was a prototype ever built? 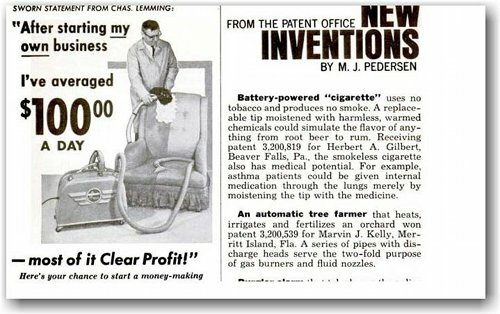 HG: Using the technology available in 1963 I concluded that a battery powered heat source would do the job and the first electric cigarette was born. I did build prototypes and tried using various flavors of water as steam … and it worked. JD: Are there any surviving prototypes? HG: Unfortunately the warehouse at the scrap yard in Beaver Falls, where most of my stuff was stored, burned down. I don’t have any…but someone may come out of the woodwork with one when Emperor Brands 1963 Original starts advertising. JD: How does your design differ from the current electronic cigarette? 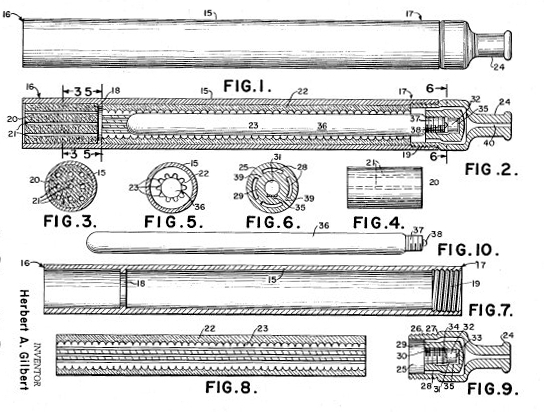 HG: There is no electric cigarette today, that I have seen, that does not follow the basic road map set forth in my original patent. If you remove any part shown in my original patent from their electric cigarette it will not function. It may be positioned differently, sized differently, controlled differently…but…it still follows the road map set forth in my patent drawings. JD: Why wasn’t the design put into production? HG: Those I showed it to could have done it but they chose to wait for the patent to expire and then filed their own versions. I showed it to chemical companies, pharmaceutical companies and tobacco companies and they did what they did to try to protect their markets. I am sure that many great inventions that could have benefited people, in the past and even today, receive the same treatment. As John Cameron pointed out to me, timing can be everything and I was ahead of my time, and in the midst of what some might say was the most powerful advertising period of big tobacco. JD: There’s evidence that Big Tobacco deliberately suppressed healthy alternatives, as producing and marketing these would have meant admitting that smoking was unhealthy. Are you saying that is the case here? HG: I merely reported what happened to me and to my patent fifty years ago. As for now, with major tobacco companies becoming more and more involved with their own electric cigarette brands, logic tells me it is not happening now, nor will it happen in the future. JD: In your opinion, would a device which produced tobacco flavored air have been as effective as one which produces vapor? HG: No. A major part of the tobacco smokers addiction is said to be the tactile / physical aspect, (the other part is the chemical addiction). Therefore in my opinion, without the visual effect of vapour, which makes the “addict” think of their usual “smoke”, I doubt it would work nearly as effectively. Further, I am willing to wager that referring to steam as vapor is even older than I am…so feel free think of my flavored, medicated, water steam as vapor because that is how logic dictates i view this question. Again read the patent application which provides for, “inhaling warm medication into the lungs in case of a respiratory ailment under direction of a physician.” You will find this, in writing, at the end of the first paragraph. There is no difference because my electric cigarette by any other name is still my “smokeless non-tobacco cigarette”, which happens to be the title of my application. JD: How did you feel when the electronic cigarettes began to take the world by storm? HG: Read my statement on the Emperor web site under “history”. JD: Do you see Ruyan e-cigarette invented by Hon Lik as an evolution of the one you designed, or a product that took a completely different direction? HG: If it walks like a duck, has web feet, has a bill, swims in the water, looks like a duck and quacks….its a duck. JD: What are your thoughts on moves by governments and anti-smoking organizations to restrict or forbid the sale of electronic cigarettes? To my knowledge nothing has stemmed the increase of the number of tobacco smokers, not legislation, special packaging and warnings nor death. I believe that my invention is the first chance we have to do so. Prove me wrong. In my opinion, legislators should be doing all they can to help with this solution, including proving it works. Government needs to help with the solution. Once they understand that what is delivered can be completely controlled so that anything bad can be, has been, and if identified as bad, will be removed then, rather than fight it, they will encourage it as a total replacement for cigarettes and some types of medications. JD: How did you become involved in Emperor Brands? HG: The best answer for this is covered on the emperor brands web site again under “history”. John David Cameron, of Emperor Brands, is the gentleman who searched me out and recruited me. JD: What’s your role there, and how are you helping to develop the 1963 electronic cigarette? HG: I worked with his team members and used logic to follow my roadmap and apply 21st century available technology to it. I will continue to do whatever I can to keep updating the technology and will remain devoted to promoting the 1963’s. Emperor Brand’s goal and my goal are the same. We want to save as many lives as we can. JD: Where do you see electronic cigarettes going in the future? HG: I believe there is no question about the future of electric cigarettes. As knowledge grows, and it will, so will the market and I am proud to be the one who started it all. I love this interview. I am going to the Emporer Brands 1963 site now. No Herbert, thank YOU, for saving my life! to Mr. Gilbert , with the creative soul, YAY YOU! Common sense you say/genious we know. Thankyou Sir, and may you reep some of the rewards you deserve.